We’re still floating on a cloud of good feeling and newly overflowing to-do lists thanks to last week’s Membership Meeting and Workshop, held at the Monroe Township Public Library in Middlesex County. A big thank you to all the colleagues from member libraries whose participation contributed to the success of the day. It was wonderful to once more gather and learn with you. We’d also like to thank our generous hosts at the Monroe Township Library. We look forward to seeing many of you at our Spring Membership Meeting in May! & redesigning a high school library from top to bottom. Registration is now open for Data Visualization for the Rest of Us, a webinar with Linda Hofschire of the Colorado State Library. You don’t have to be a graphic designer to present your library statistics in a way that effectively communicates value. In this session, you’ll learn quick and easy tips for visually displaying your statistics so that they tell a meaningful story about your library, whether your data visualization aspirations consist of adding a few Excel charts to a board report, or designing a complex infographic for your website. Explain why visual presentation of data increases viewer comprehension. Apply design principles to your visual presentations of data to increase their effectiveness. Create a basic infographic that tells a meaningful story about your library. This webinar is designed for all library staff involved in public service and sharing the library's story. Join us! What: An unconference for all staff at public and academic libraries who work on planning and providing public programs for adults. An unconference is organized, structured, and led by the people participating in it. Who: This event is for all staff at public and academic libraries who work on planning and providing public programs for adults. Space is limited to 50 participants. How Much: The cost for this full-day unconference is just $25. Full details will be available shortly! Co-organizers Janie Hermann & Sophie Brookover will be recruiting presenters for both Lightning Talks and Program Speed Dating. Interested in showcasing your work? Let us know! Mark your calendars now! 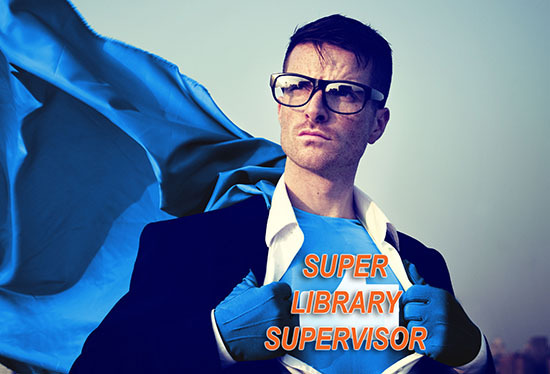 Registration for Super Library Supervisor will open at 10 AM on Tuesday, February 7, 2017. We are maintaining the limit of up to two participants from each library organization. Registration is online only and you need a User Account with LibraryLinkNJ to register. If you don’t have a User Account yet, today is the day to register for one. The approval process takes time and we don’t want you to run out of time before registration opens. More workshop information and registration details are available on the 2017 Series page. The MentorNJ In-Person Networking Event at the Monroe Township Library on Wednesday, November 9, was a terrific event! Over 80 colleagues from around the state gathered together to network with each other and to learn about topics relevant to libraries. Fobazi Ettarh, Resident Librarian at Temple University, presented a fascinating talk, Killing Me Softly, about identifying and understanding the effects of microaggressions. All attendees were able to engage in an interactive game designed by Fobazi which allowed the players to experience microagressions. Participants then networked with one another and had the opportunity to have their headshot taken by a professional photographer. After lunch, Courtney Young, Past President of ALA, presented Better Together: The Critical Role of Networking and Professional Development in Librarianship. This was followed by a series of table discussions on five various topics, including self-care, diversity and branding yourself. The event concluded with a raffle and 11 lucky participants won a fantastic prize. The MentorNJ Project Team would like to thank everyone who participated in the event. We also thank you for sharing your feedback with us, and we'll make sure to take all your suggestions into consideration when we plan our future programs. Check out the MentorNJ webpage for more information. We would also like to give our special thanks to the NJ State Library and the LibraryLinkNJ staff for their help with event material preparation and to the speakers and table discussion leaders who shared their expertise and advice with all participants at the event.